The BHA has decided to delay the rule requiring all runners over jumps to be fully shod following an outcry from professionals. Mick Easterby was among a number of trainers and jockeys to express their concerns when it was announced the BHA intended to ensure every runner over jumps has four shoes on when racing. Easterby does not run his horses over jumps with hind shoes and condemned the rule as ‘ridiculous’, arguing the use of hind shoes increases the risk of serious injury. The rule was due to take effect over jumps from February 1 but will now be delayed for no less than six months. On the Flat the rule has been in place since April 2016 and the BHA’s reasoning to have the same situation over jumps was on safety grounds. Data from a two-year project highlighted that a partially shod horse is eight times more likely to slip compared to one with four shoes on. However, Easterby argued hind shoes can increase the risk of injury among jumps runners. One of the most common injuries in jumps races is an overreach in which a horse’s hind hoof bangs into the back of its front leg, causing damage to the tendon or the front hoof. 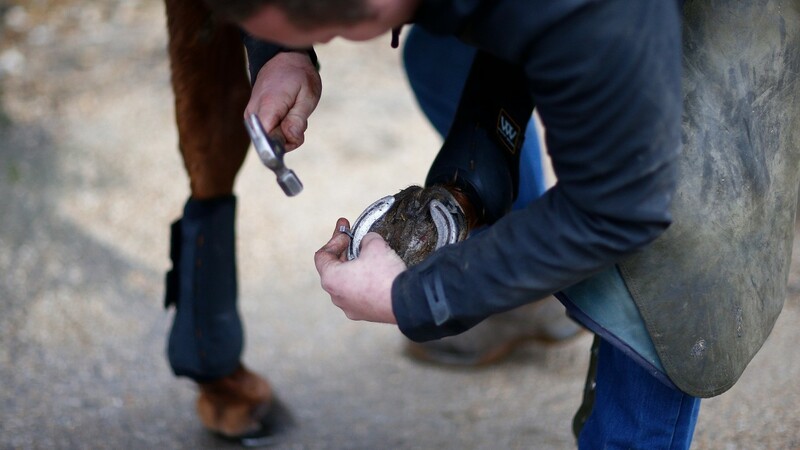 Easterby considers the fitting of steel shoes on back hooves increases the risk of serious injury like slicing into tendons or chopping off a front hoof. Fellow trainer Simon Earle, who runs his horses unshod, welcomed the news. “I felt the evidence I presented was pretty good and others have been speaking out, Mick Easterby in particular. Jump jockeys I’ve spoken with don’t see running without shoes as a problem. Trainers who oppose the rule and the National Trainers Federation have been invited by the BHA to submit any data or scientific evidence that supports the claim there is a greater welfare risk to horses who are fully, rather than partially, shod. The BHA plans to conduct further research in a variety of ways. A veterinary officer team will gather data on tendon injuries suffered on course during jumps races and identify whether there is any correlation between the severity of the injury and wearing hind shoes or otherwise. Stewards will analyse any slips that occur during jumps races and confirm how the horse was shod, and assess the impact of the slip in terms of safety risk to jockeys. Punchestown results: Who won the 5:35 at Punchestown TODAY?